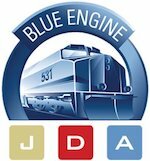 Blue Engine Message & Media is merging with JDA Frontline on Jan. 1 to form a bipartisan public affairs shop of 25 staffers that will help clients navigate the volatile and divisive political climate. Blue Engine's leadership team of Erik Smith, David DiMartino and Allison Clear Fastow have strong Democratic credentials, while JDA's Trevor Francis has Republican connections. The combined firm will re-launch next year under a new name to offer coalition development, brand management, grassroots mobilization, grasstops advocacy, reputation and digital strategy. Smith said since the firms have worked on projects together in the past "joining forces just made sense."